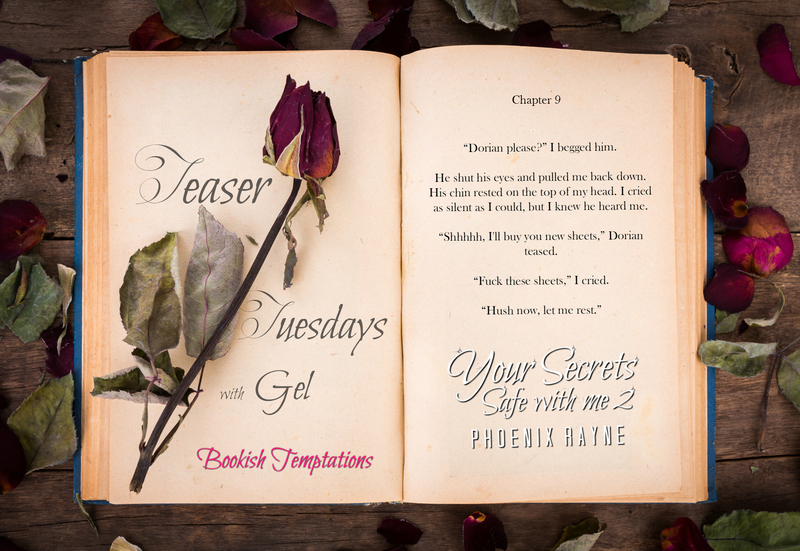 Your Secret’s Safe with Me 2 by Phoenix Rayne is a beautiful story. There’s too much emotions coming from both characters in this scene. I loved how the story unfolds. If you’re looking for a romantic suspense, I recommend this series for you. Cambria and Dorian’s story starts with Your Secret’s Safe With Me (book 1). Make sure you check that out. This entry was posted in Adult Romance, Angst, Book Boyfriend, Book Boyfriends, Book Crushes, Book Promotion, Book Quotes, Book Recommendation, Book Spotlight, Bookish Stuff, bookish temptations, Books, Cliffhangers, Fantasy boyfriends, Romance, Teaser Tuesday and tagged Cambria, cliffhanger, Dorian, part 2, Phoenix Rayne, Quotes, Teaser Tuesday, Your Secret's Safe With Me. I can’t share mine this week because I’m really struggling with the book I’m reading but it’s an ARC so I feel duty bound to persevere.